For more than 25 years, Peterson & Associates, P.C., has been providing representation to individuals and families in Kansas City, Missouri, in a wide variety of personal injury matters. For many, the aftermath of a motor vehicle accident, medical malpractice incident or another act of negligence resulting in serious harm introduces a period of confusion and frustration. From dealing with the insurance companies to worrying about whether you will be able to return to work, there are numerous factors that require the clear and committed counsel of an experienced personal injury lawyer. No matter your accident or injury, our team of attorneys possesses the experience and resources necessary to help you pursue a settlement or judgment. From carrying out independent investigations, gathering evidence and testimony, consulting with industry experts and professionals, negotiating on your behalf, to litigating your case, we will remain committed to your best interests. Learn how our attorneys can help you reach the path toward recovery. 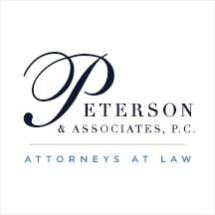 Contact our Kansas City law firm and schedule a consultation with us at Peterson & Associates, P.C.